Should You Apply To A Job If You Don’t Meet All The Requirements? Can Founders Ever Actually Achieve Work-Life Balance? Harvard Business Review:Are You Productive Enough? MV Times: Domestic Disturbances: What to do about those to-do lists? The Real Food Court: Self-Control: Is it Necessary? HBRascend: Are You Proud of How You’re Spending Your Time? Forbes: Should You Apply To A Job If You Don’t Meet All The Requirements? Stuff.com: Do You Suffer from FOTAL (Fear of Taking Annual Leave)? EasilyDo: When Should You Leave Your Phone in Your Pocket? Irish Times: Do You Really Need To Schedule That Meeting? Harvard Business Review: Do You Really Need to Hold That Meeting? Harvard Business Review: Are You Proud of How You’re Spending Your Time? Coast 2 Coast: Time Management: It’s not as simple as you think – Women Entrepreneurs and L.I.f.E. The Creativity Post: Will You Really Be Happy Having Your Inbox at Zero? Women 2.0: What Was The Biggest Mistake You Made Early In Your Start Up? UpStart: Is Paying Employees to Take Vacations a Good Idea? Ow.ly: Do Less. Be More. Life Hacker: Ask LH: How Can I Stop Myself Running Late Because of ‘One More Thing’? Women 2.0: What’s the Biggest Change in the Role of a CEO as a Start Up Grows? The Office Professional: Are You Suited To Your Work Environment? Forbes: Can Founders Ever Actually Achieve Work-Life Balance? Creativity Post: How to Wrap Up Your Work Day…On Time! 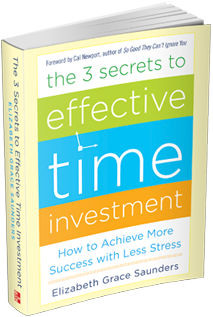 JeffConnects: Stop Spending Time…Invest It! Life Goes Strong: Tips on Time Management: Are You Sure You Need to Get More Done? 99u.com: Is Poor Time Management Limiting Your Potential? 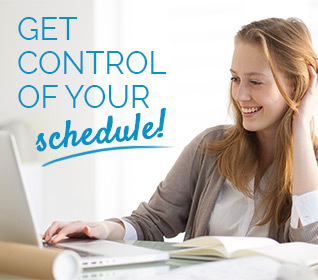 WealthWithMortgage.com: Better Manage your Time in 2013!